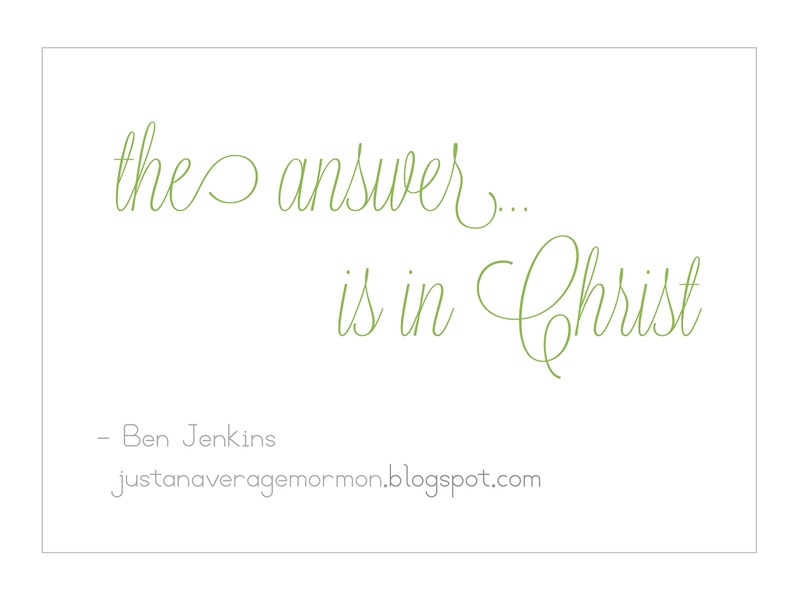 Another great post from Ben Jenkins. I have a very hyperactive 3 year old. Sometimes she is very destructive and is often frustrating for her mother and I. She also often tells us that she is scared or afraid of different things; something new each day. Though we acknowledge that it is important and normal for a 3 year old to be hyperactive and scared of different things, we desire for her to also learn peace and self-control. We have been praying lately for ways that we could help her to be calm and peaceful. We have noticed that the times that she is calm and peaceful she is bright and happy and we feel the spirit more in our home. One thing that she can sit through, for perhaps hours, is us reading her books to her. This morning I was reading her newest favorite book which is a bunch of bible stories for children. We were reading the story of Jesus calming the sea and the fearful hearts of the weary sailors. It occurred to me as I was reading this story that the answer to our prayers for the well being of our growing daughter is in Christ. I explained to my daughter that as long as Christ was in that boat then it would not sink regardless the weather and therefore the sailors had nothing to fear had they faith in Christ. I told her that as long as Jesus was in her heart then she had nothing to fear. I also told her that when she feels that she has a storm raging inside of her she can pray to her Heavenly Father and through the power of Christ and the Holy Ghost that she will have peace. It was remarkable to me that at such a young age she was able to understand this. 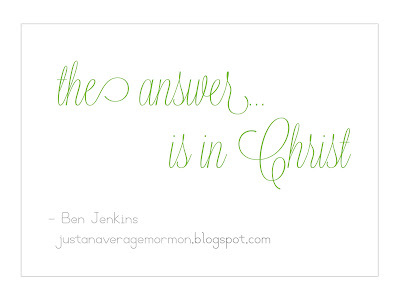 I am grateful to be part of a religion that reminds me frequently to teach the Gospel of Jesus Christ in my home. made promises with God in his holy temple that give me the guidance to teach my children and protects them from the many evils and dangers of this world if I will continue to understand and obey His commandments. I don't think my story is remarkable. I am certain that many other Latter-Day Saint families have had very similar experiences. I am just an average Mormon. Read Ben's previous posts here. Yeah, I think that children understand more about the gospel than we give them credit for. I especially think that because, perhaps due to their purity and innocence and faith, they have an innate ability to feel the Spirit and the peace that comes with it. Several years ago, when one of my nieces was only a couple of years old, she was hospitalized for a few days. After her parents were worn out from having spent some long nights with her, I thought I would give them a break by staying the night with their daughter so they could go home and rest. It broke my heart to see my niece worried and afraid not understanding what was going on. She had an IV in her arm and, fearing that she would try to pull it out, the doctors and nurses had put her arm in a splint and wrapped the whole thing up--which had only made my niece more worried about everything. When her parents left she began this heart-breaking, quiet whimper-like cry. You could just hear how afraid and sick she felt. To try to reassure her, I picked her up and cradled her in my arms, and tried rocking her to sleep while telling her that everything would be all right. But for all of my efforts, she just couldn't feel calm enough to stop crying and go to sleep. It was hard for me; I wanted to help her feel safe and be able to rest, but I just didn't know what more I could do. Then the thought came into my mind to sing her children's primary songs. As soon as I started singing those primary songs to her she stopped crying, and within minutes she fell asleep. I think that she recognized the peace that came with the Spirit, and it gave her the comfort that she needed in order to be able to rest. And ever since then her and I have had a special bond. I think that having experiences where the Spirit is felt together goes a long way towards strengthening relationships. 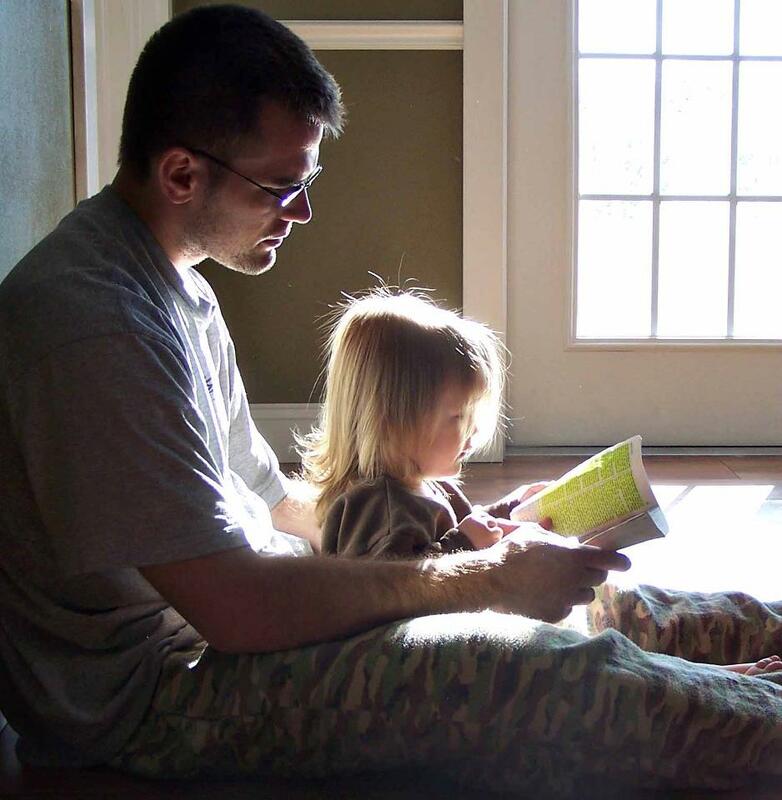 So I think it's also neat that you're taking time to read and teach her about Christ, I imagine that it will go a long way in bringing you ever closer to each other.